On tour now in support of 'Skiptracing'!. One listen to Mild High Club and you’re instantly swept up by the wavy, ‘70s-influenced vibe that they've been known to perform so well. Perhaps it's frontman and member Alexander Brettin's history with the flute and his majoring in jazz studies that bring such a unique spin to the psych genre, but it's also "The Club" as a whole, especially live, that really take a hold on us. The five-piece took the stage at The Crown in Baltimore in support of their 2016 sophomore release, Skiptracing, a record that's laced with the story of a “private investigator attempting to trace the steps of the sound and the spirit of American music.” With tees like this one gracing their merch table and an air of mystery to their live show, we're thinking that's a totally fitting description. 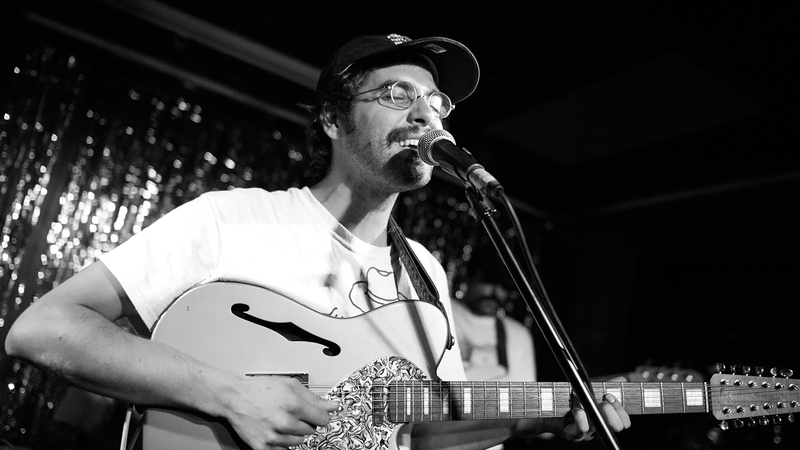 Check out our slideshow from the performance at The Crown below, and be sure to track Mild High Club on Bandsintown to find out when they’ll be playing near you!